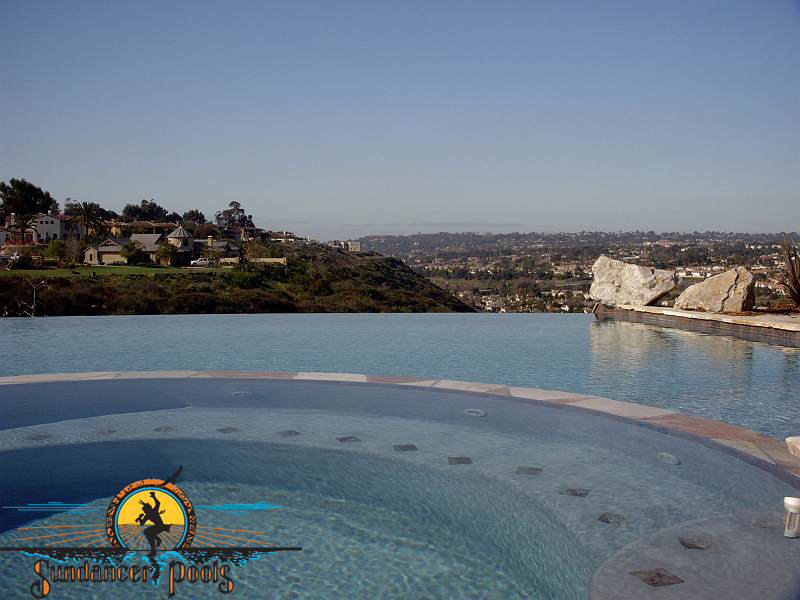 Sundancer Pools is a family run business that has completed thousands of pools for residents of the greater San Diego area. 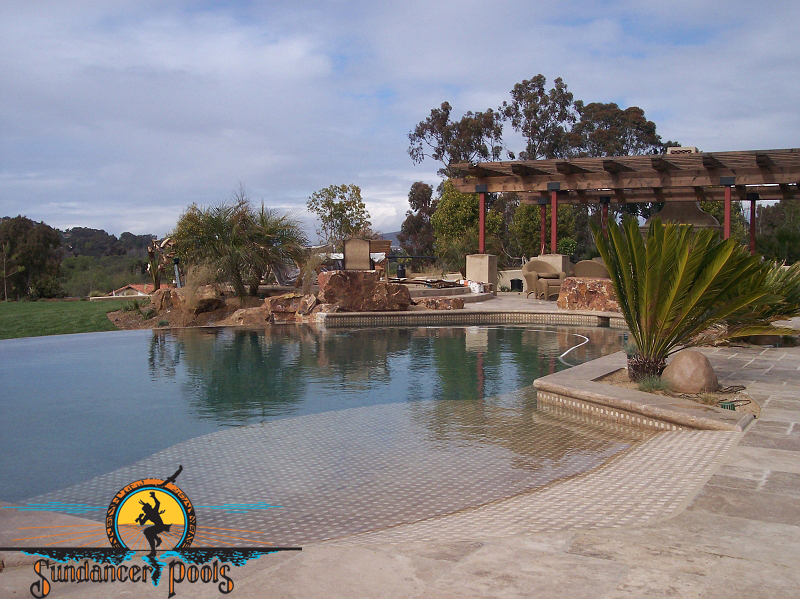 Below is a sampling of the more than 2,000 pools we have built. Click here for our Main Photo Gallery. 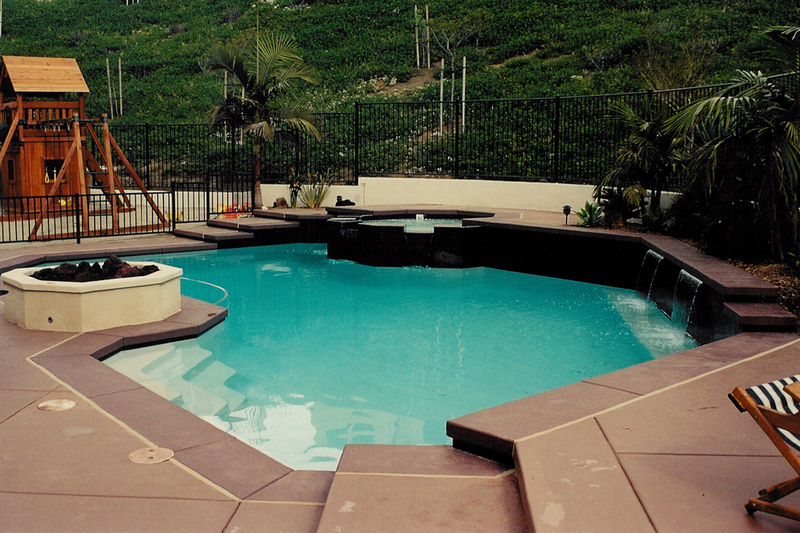 Sundancer Pools has been building pools since 1985. We thought it might be fun to show off some of our early work shot on 35mm here. 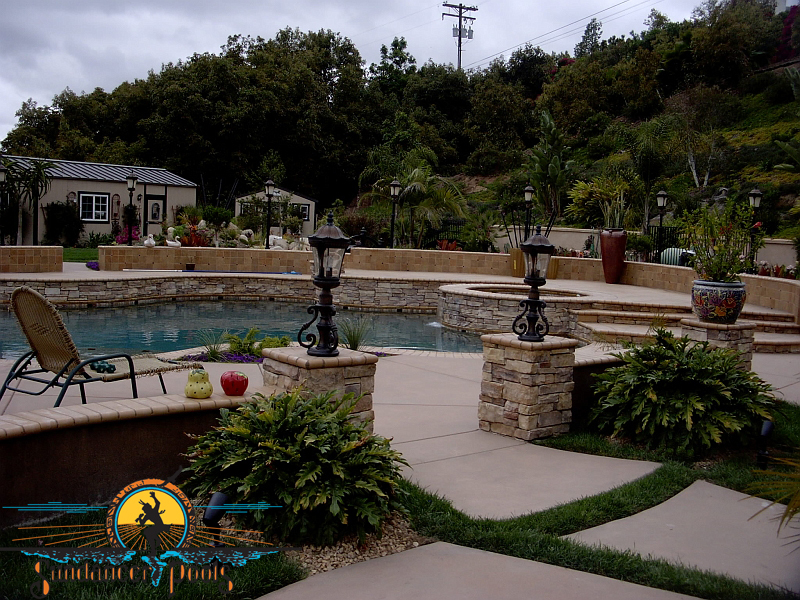 Check out the latest from Sundancer Pools on Instagram. To check out our entire stream, click one of the pictures scrolling below. 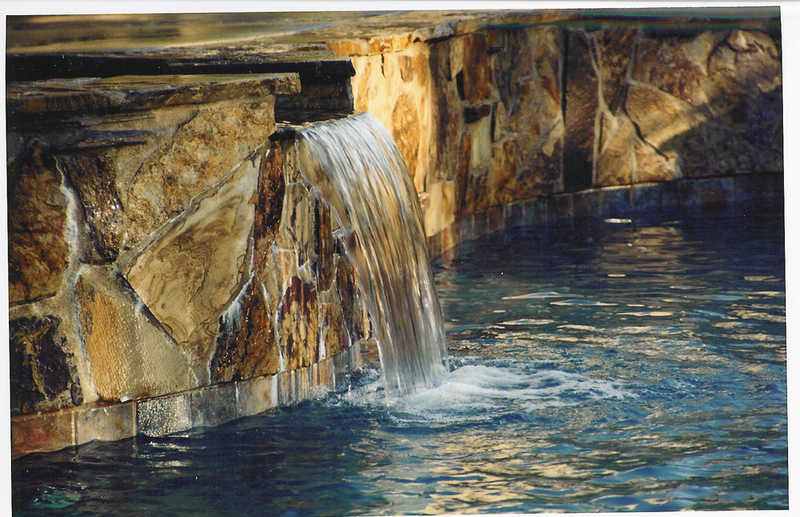 Natural rock waterfall set into pool. 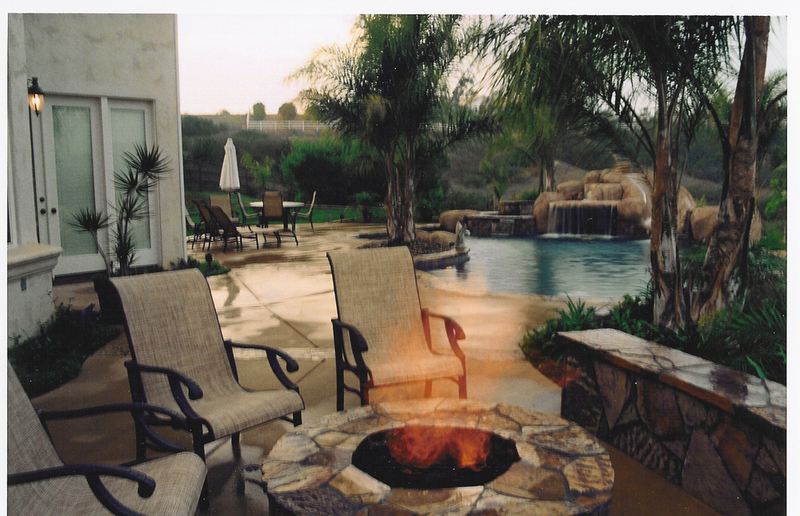 Sunken fire pit with natural rock waterfall. Tumbled lava rock in a modern mix of gray tones. Pewter gray cantilever concrete with Outback gray topcast concrete decking. 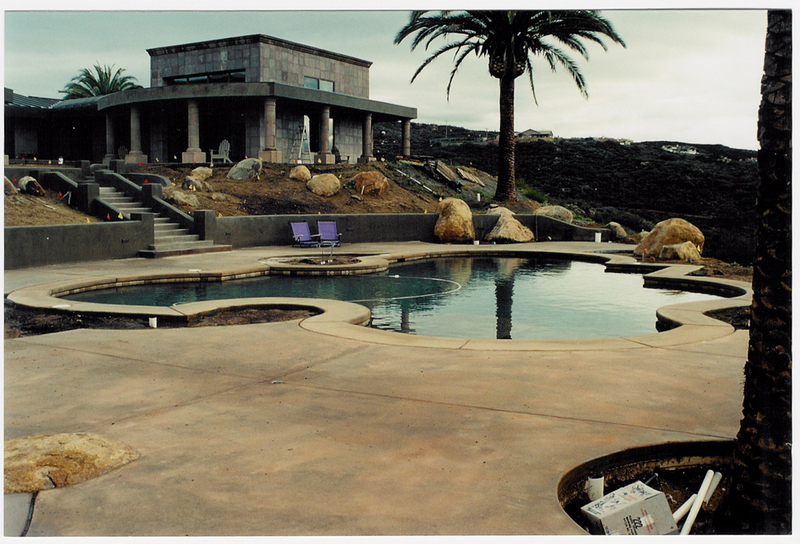 Mid tone gray plaster pool. Pebble pool, cantilever coping, vanishing perimeter spa. 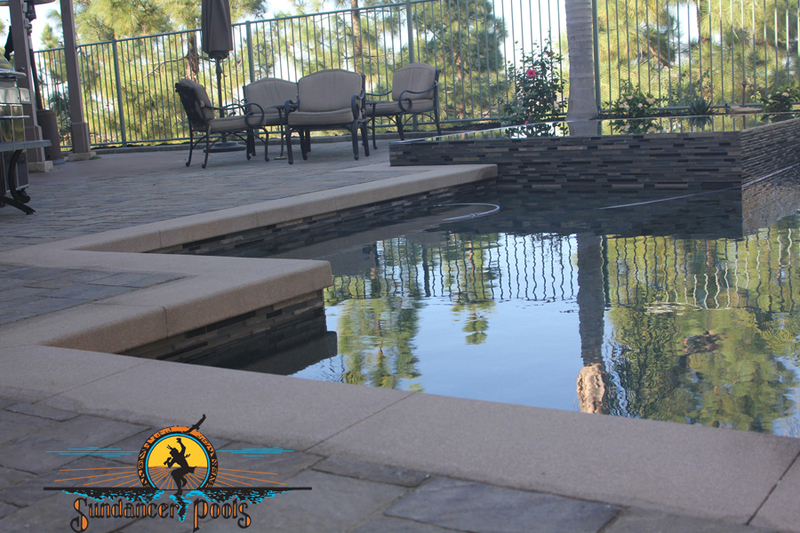 Sunset gold flagstone coping with pebble pool floor finish. Artificial rock slide and log swing. Quartzite flagstone, with pebbletec. Rectangular pool with auto cover. Cantilever pool coping with gray plaster. 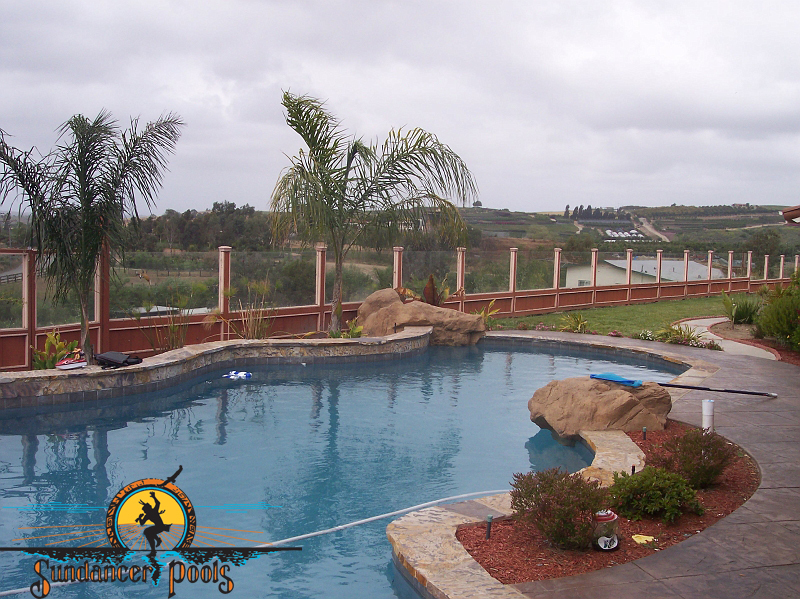 Paver pool decking up to 18" raised covered swimming pool. Standard aluminum automatic pool cover lid. 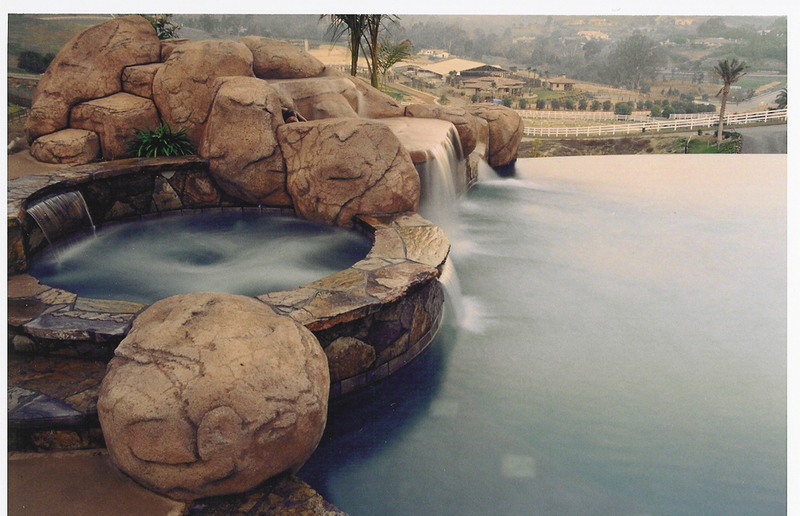 Detached spa with small pebble spillway and built-in seating benches.